A manufacturer and service center favorite! 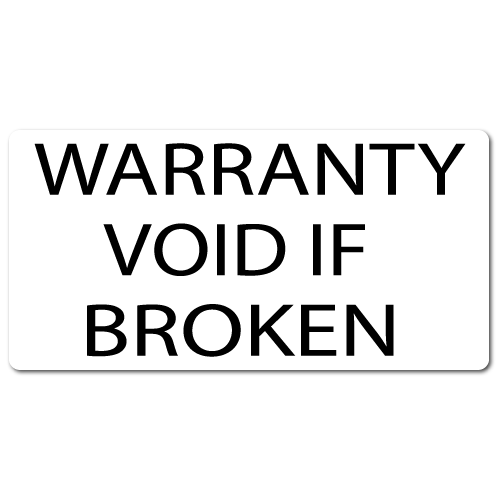 These Tamper-proof labels are printed on a specially formulated, highly destructible vinyl material. 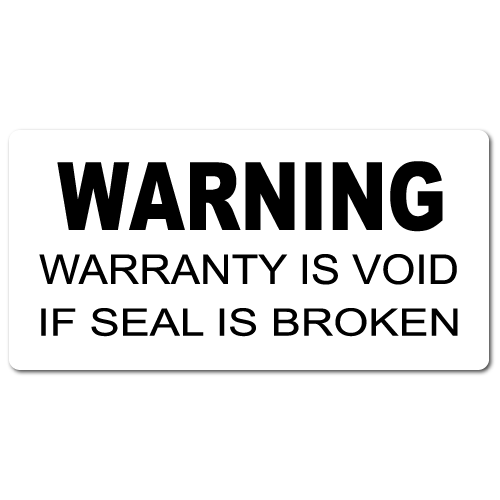 Combined with a hi-tack permanent adhesive, these labels become impossible to remove and replace in one piece. 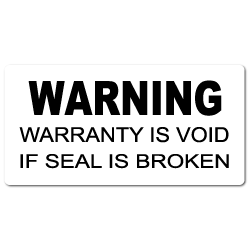 These tamper evident seals will break apart into small pieces, as soon as some one attempts to peel them up. 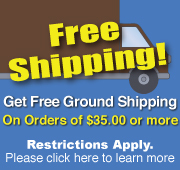 Perfect for sealing electronic equipment, audio components, video equipment, telephone system components, computers and small appliances. 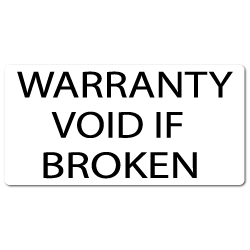 Anything that is protected by a manufacturers warranty. 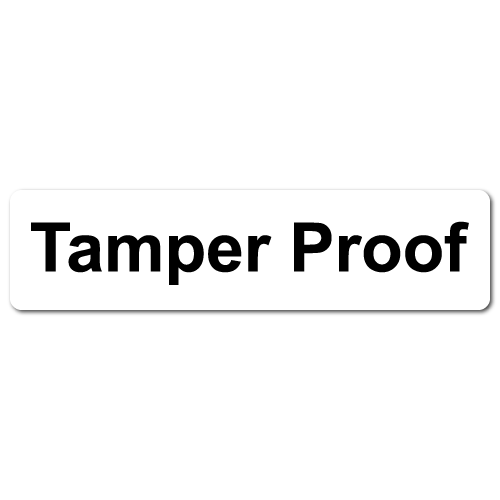 These tamper-proof labels are supplied on rolls. Because of the destructible nature of the material, the waste matrix around the labels if left on the rolls, since it can not be pulled away without breaking. 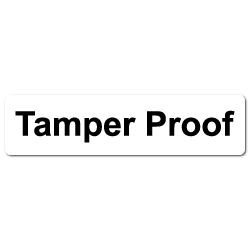 Below are listed our most popular Tamper Proof products. 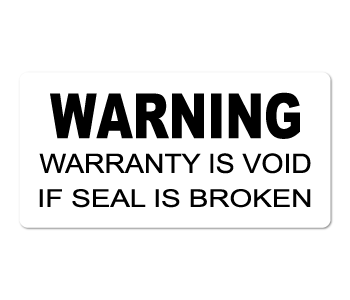 We manufacture custom labels as well, with your own wording, company logo and different sizes. 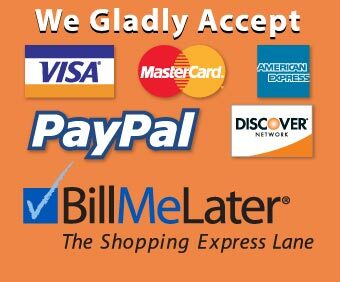 If you can't find what you are looking for, please do not hesitate to Contact Us. 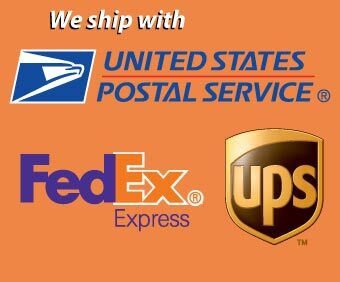 We will be happy to help you in any way we can.